Being a travel company, we go on a lot of outdoor trips; camping trips, hiking and biking trips, mountaineering and trekking trips, even city breaks that sometimes turn into outdoor trips, so for us, the gear we take is of utmost importance. Gear can make or break a trip, so we can’t stress enough how crucial it is to choose the right products for you and your trip. Having recently come back from a week-long camping trip myself, I wanted to share with you the gear that I chose to accompany me, the gear that complimented my activities, made some possible and sometimes just damn right saved my life (metaphorically). 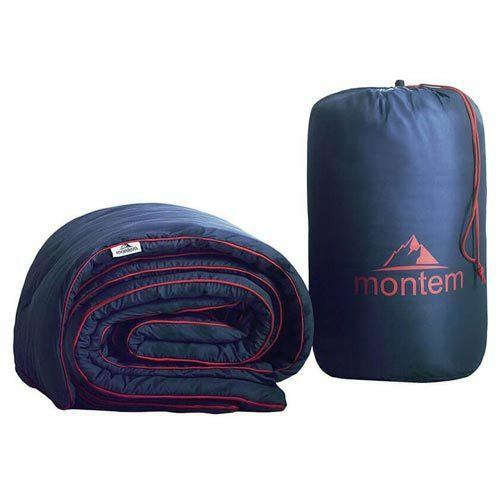 The products that I consider to be my essential camping gear are all produced by one rugged and quite frankly genius start-up company, Montem. The question should be why not Montem? The outdoor specialists create simple, science-driven outdoor gear which are lightweight, durable, and versatile. I don’t know about you but these are the three main boxes that I need ticked when I’m looking to buy new camping or hiking products; with these products designed by hikers for hikers, I genuinely feel that there are few better companies to look at when you’re looking for gear that will support you and make your trip. 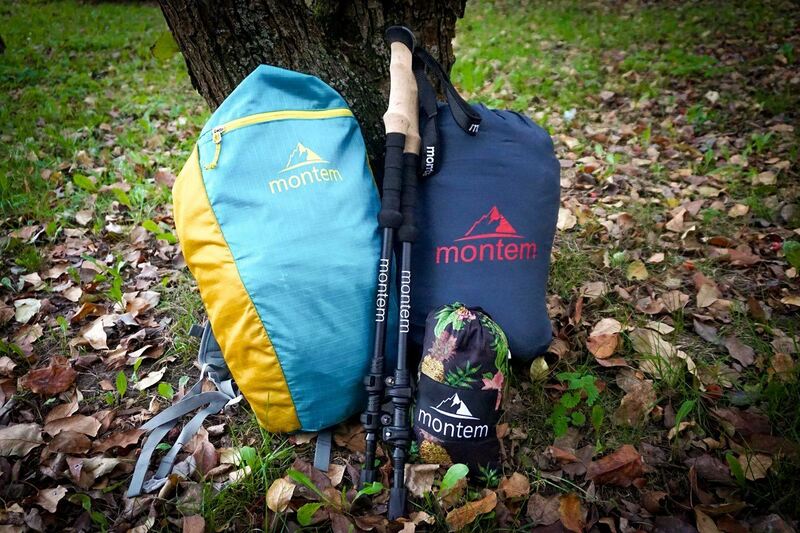 Did we mention that Montem gear is also of an incredibly high quality yet they are affordable? By limiting marketing expenses, minimizing website costs, cutting out the middleman, and having no mark-ups, Montem can offer premier products at fair prices – isn’t this just the icing on the cake?! 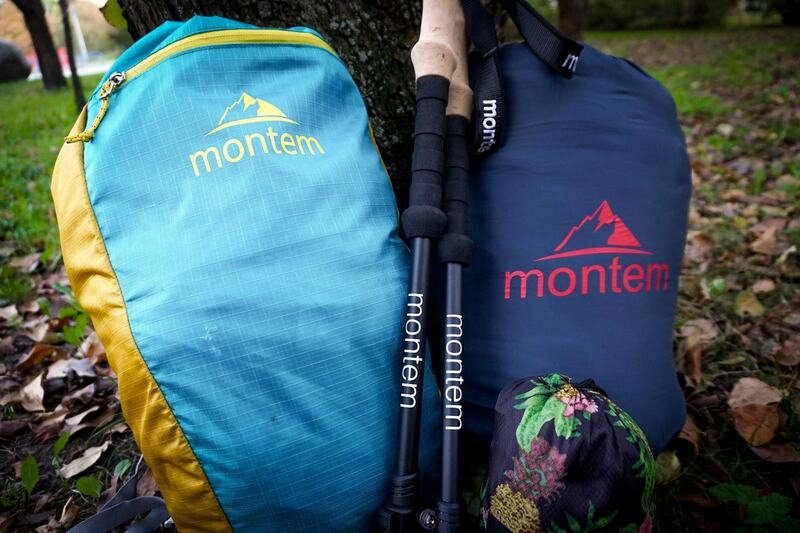 Montem has won many an award for their Ultra Light Trekking Poles, so naturally, this has to be number one on our essential hiking/camping list. If you walk, hike or trek regularly, trekking poles can offer you many benefits; making walking much easier, reducing the wear and tear in your legs (especially in your knees when you’re trekking downhill! ), and helping you maintain and improve your balance. 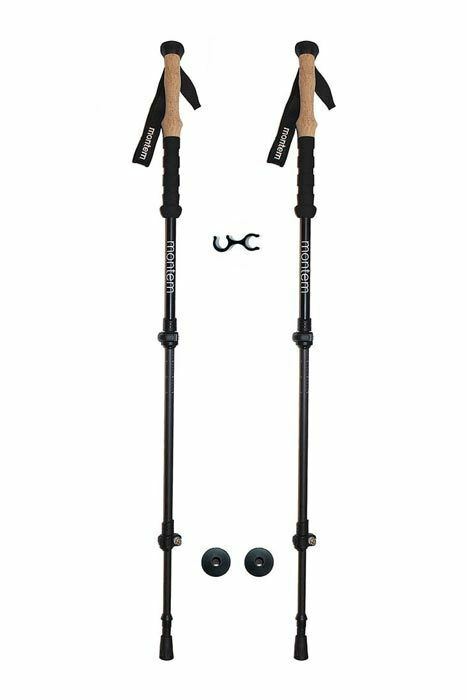 Made of carbon fiber, these trekking poles will out-perform many others on the market at double the price due to the strength, durability, and anti-shock material. I’ve never used trekking poles before but I decided to try them recently as hiking with a heavy bag on my back has caused quite bad back and rib problems for me, not to mention that it makes the hike the next day that much harder and more miserable. I’d heard good things about these trekking poles from Montem and as you can imagine, they made a world of difference for the problems I was having. Not only did I find hiking a breeze even with a heavy load on my back (seriously, at one point I believed that I could conquer Everest! ), but I also found that they offered other benefits too. There were two features that I particularly loved: the EVA foam grip, this didn’t chafe my hand at all over time like I heard that rubber tends to do, and how lightweight they were, I didn’t even feel like I was carrying any extra weight when I wasn’t using them. Overall, I was pleasantly surprised by these trekking poles and they gave my arms a pretty good work out too! Another favorite product of Montem’s among fellow campers and outdoor enthusiasts is the Sneaky Snuggler Puffy Camping Blanket. As well as the cool name, this blanket looks slick and does more than its job to keep us warm. Honed as the ultimate camping quilt, this bad boy is water and puncture resistant and has a whopping temperature rating of 40+. 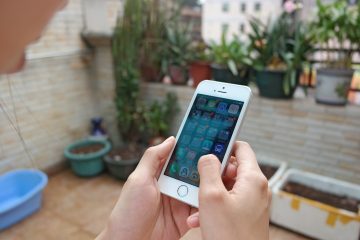 This means that you can use it almost anywhere whether you need a roomy bed for one or a cozy quilt for two. So you remember I said some products saved my life? This is where the blanket came in. When originally perusing the Montem products, I didn’t think that a sleeping blanket would be necessary. After all, when you have a sleeping bag, why would you need a blanket? Boy, how wrong was I. Not only am I the coldest person in the world (in a previous article, I referred to my genuine belief that I’m a reptile), but I’m obviously one of the dumbest because this product became a camping essential for me from day one. As well as using it actually as a blanket, this product ‘saved my life’ when it came to the cold nights (I say cold, it was September and temperatures didn’t drop below 12 degrees C). When the temperatures dropped and there was nothing between my sleeping bag and the ground but a cold and unrelenting breeze of air, this blanket became the ideal intermediate. Not only did it provide a slight cushioning to make the ground a little less uncomfortable, but it also provided sufficient insulation that I had a decent and surprisingly warm nights sleep. 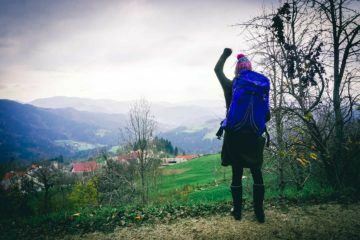 Talking about heavy bags whilst hiking, this is one issue that you just won’t have with the Diadema 18L Hiking Daypack (mainly because the bag itself weighs absolutely nothing!). 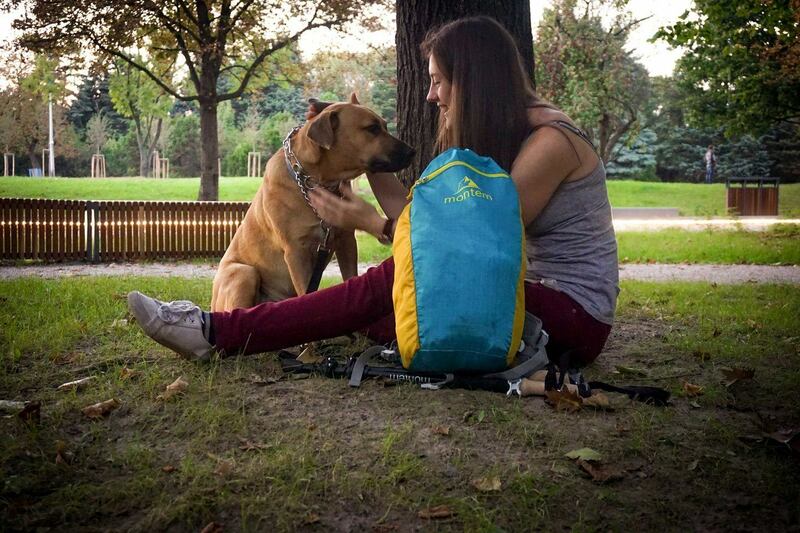 An incredibly lightweight daypack, this product is so much more than just being ultralight, it is also water-resistant, tear-resistant, and surprisingly very durable. Whether going on a weekend trip, day hike or a backpacking journey for the foreseeable future, this daypack is suitable for them all. You just throw your stuff in the bag, pull the drawstring, and you’re good to go. When packing for camping, I always try to bring products with me that can be used for more than one thing and this daypack did that and more. 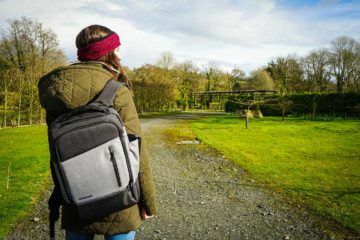 This daypack was perfect for day-to-day use whether we were just wandering around the campsite or exploring the wilderness and it particularly shined whilst hiking. Complete with an internal hydration sleeve, when it got warm, we were set. As well as its versatility, I also loved how lightweight and compact it was (perfect for storing! ), it has chest straps so I didn’t get any back pain whilst carrying some weight, and I absolutely love the look of it. The all-purpose daypack that I got was in the Alani color theme (turquoise and yellow) so I felt pretty cool when hiking and canoeing the days away. Built to last, the Montem Fly Napple & Chill Camping Hammock gives you the comfort of being home away from home. Blending ripstop 75D Nylon material with tactical grade ropes and 12kN carabiners, this hammock is sturdy and ready for anything. 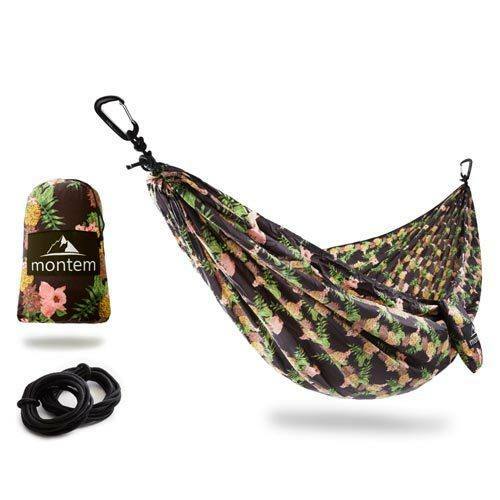 Perfect for impromptu trips, camping, hiking, backyard chilling, and lounging almost anywhere where there are two vertical objects, this hammock will quickly become your favorite traveling companion. I know many of you are thinking “now that’s not a camping essential,” and I agree, it’s not. It is, however, a sweet addition to any campsite. No one can deny the comfort, fun, and relaxation that a hammock can bring to any outdoor venture and it did exactly that for me. I was really surprised how much I used this product actually; not only was it extremely light to carry, but it was so easy to set up and take down, and it provided the perfect place to slump into to read a book in the morning or evening when I wanted to get horizontal. It was either that or the bed (which was the floor) so it was a no-brainer really. If you’re ever on the fence about bringing a hammock but you have space, trust me when I say that it’s more than worth the addition. Plus who doesn’t love those extra comforts? As you have probably guessed already, I am a pretty big advocate for Montem now that I have tried their products and they have become essentials for me now on all my future outdoor endeavours. 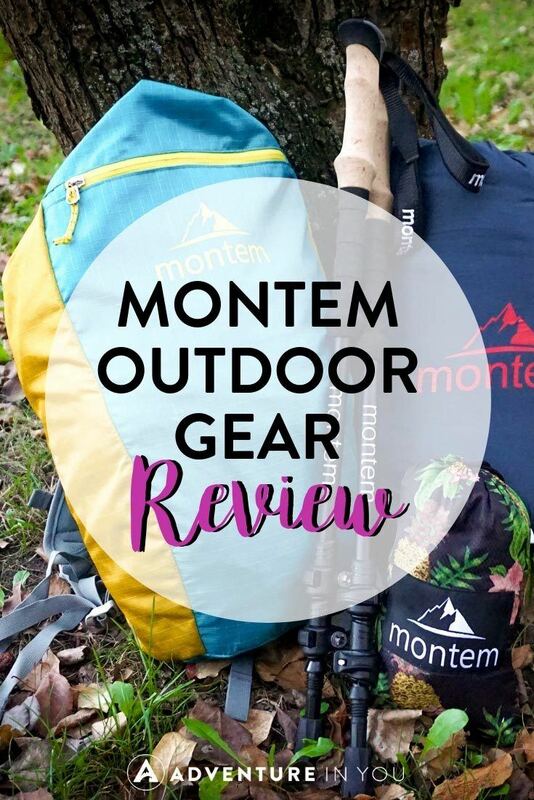 When it comes to outdoor gear, I need everything I have to be lightweight, durable, and versatile, and Montem’s products tick all of these boxes every single time. During the camping trip that I just returned from, we cycled 200km there and back for that week carrying all of our gear on us. I’m not going to lie, it was tough, but it just goes to show that we had to pack only the essentials. For me, Montem’s superior quality products were more than worth taking. Standard Luggage Travel Wallet Review: Yay or Nay?